10+ Fun and Unique Cocktail Bar Signages To Host The Coolest Wedding Party In Town! A cocktail bar is supposed to be a cool, funky and inviting place with interesting décor elements. Although with the right planning it’s pretty easy to create an absolutely smashing wedding bar, you shouldn’t take it very lightly too! Bars at Indian weddings are becoming more and more customized and unique over time. 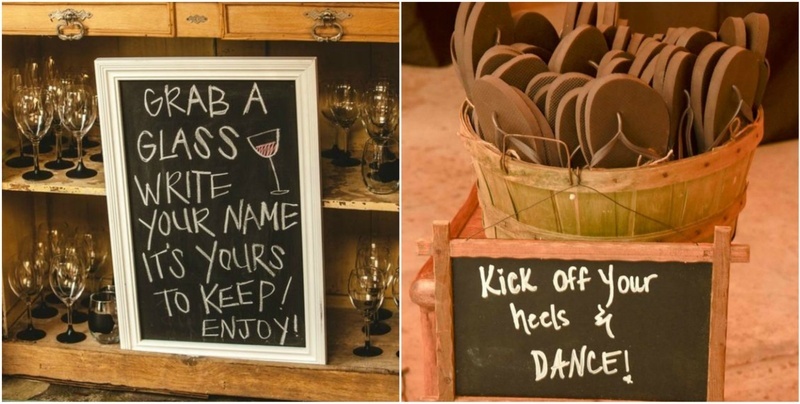 Whether you are serving some signature drinks to your guests or just planning to quirk things up, bar signs are the way to it! Check out these 10+ Instagram-worthy far from ordinary cocktail bar signages that should definitely be bookmarked! Whats a bar without some cool signage we say? We love these quirky DIY signs that are easy on the pocket too. -for we all drink to socialise (or so we would like to believe)! This 'Proceed with caution' sign at your wedding bar will remind your guests to drink only as much as they can handle, as the event will be heavily documented. How cool is that? How about going rustic with a hand-engraved plank of wood and place it towards the direction of the bar to welcome the guests. Decorate your cocktail bar with a drinks menu which features the Bride and Groom's favorite cocktails with a quirky sign board. A quirky sign board with the bride-and-groom to-be’s initials will add a very personalised touch to your cocktail bar. This shows that you have gone the extra mile to make sure your guests are comfortable at the cocktail party. With the drinks pouring and time passing, the fancy shoes of your guests (especially of the ladies in heels) won’t be that comfy to dance the night off in and this bucket of slippers will be a boon! What can be a better prop at a party for the party animals than a stirrer that proclaims exactly that! Bring out your desi swag with a bar signage (or two) in Hindi for your guests to have a good laugh at. From 'Daru ki Tanki' to 'Daru Wale', be creative when it comes to dressing up your 'theka'! A 'Please Don't Drink and Drive' sign at the cocktail bar will remind your guests to book taxis to get home safely after your heady cocktail bash. You can also jot down a few taxi numbers below this signage. So why settle for an ordinary bar signage when you could plan for an absolutely extraordinary one? We are sure this list of highly in-spirit-ational ideas are going to get your creative cocktails flowing.